This post is very morbid but this has been on my mind. 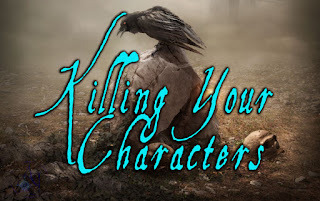 Once again, I reached a point in my series where characters are dying. I'm having a difficult time going through The Lost Sciell. I killed off one character only to go to the next chapter and kill two more. This is right after a string of bad things happened to the characters. Last week, I needed to take a step back from writing. One scene hit me harder than I expected. I've been avoiding this section of my story because I knew editing these chapters was going to be difficult. It's funny. 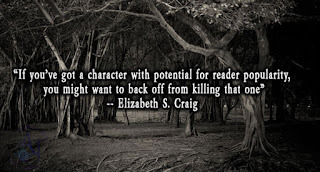 When I first started writing, I thought to myself, I'd never kill a character. I'd make them go through some stuff but no one would ever die. The stories had different ideas. Since I don't outline, I usually don't go into a story thinking this character is going to die. 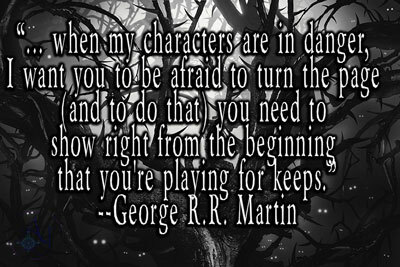 It's more like, I'm writing a scene and the character is in danger. As the scene unfolds, I realize this character isn't going to make it. Then I take a step back and mull it over for a day. I've been struggling with one character's death, lately. Some of you know this, The Merging Worlds Series started out as 3 stand alone books that I molded together to make them into a series. 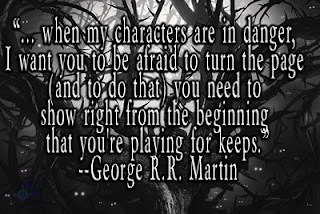 Before the books became a series, one character was dead before the story began. But as I was reworking the time line to merge the 3 novels, I realized this character needed to be alive during a good part of the series. I decided they'd die later. Now, as I'm going through the story, I'm liking this character way more than I expected. I've been trying to figure out a way to save them. I can't. For the sake of the plot, this character has to go. It's breaking my heart. My goodness, even writing this post is getting me emotional. 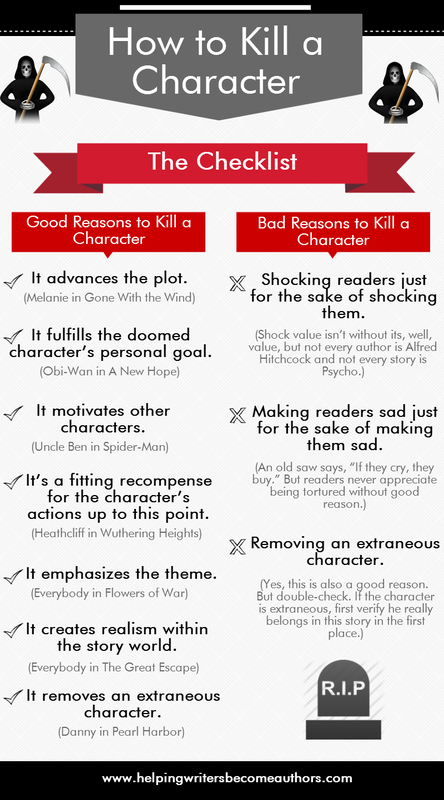 It's not easy or enjoyable (at least for me) killing off a character. So why would you do it? 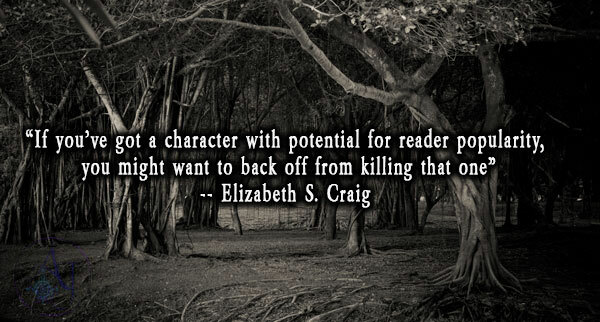 I generally stay away from killing off main characters, mostly because my heart can't take it. I also worry about turning off readers. My stories are dark enough. It's rare for me to keep reading a series after a main character dies. Remember: write what you want to read. 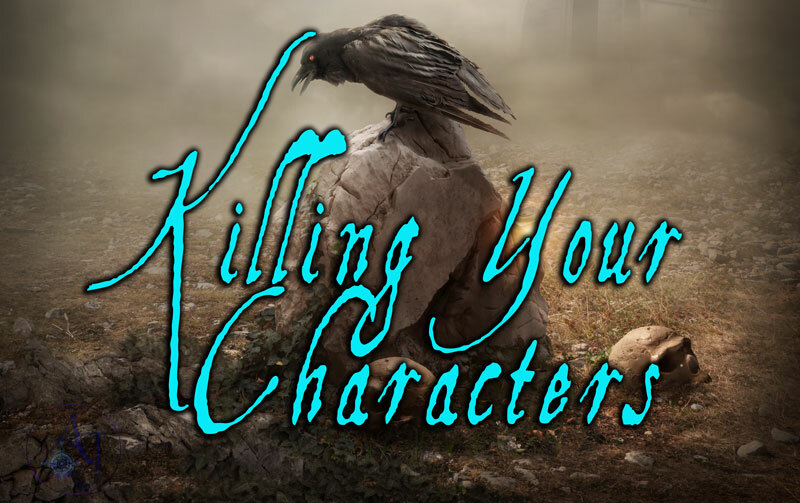 Have you killed a character? 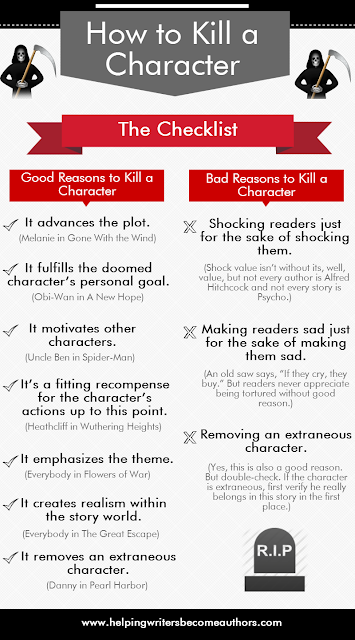 Has there been a character's death that was tougher to write than you expected?